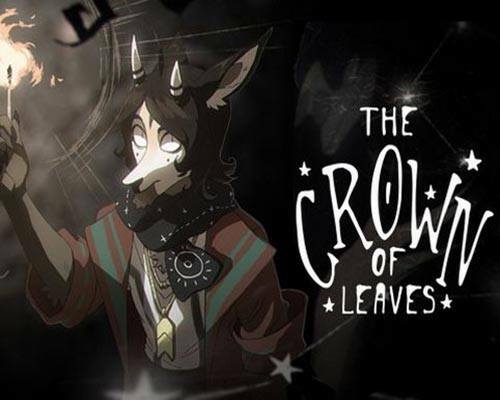 The Crown of Leaves is an Adventure and Puzzle game for PC published by thebrokenhorn in 2017. Enter the mysterious world of foxes. This game is a visual, non-linear fantasy novel about mysticism, riddles, constellations, anthro beings, beasts, and ghosts! Roui, a resilient city dandy, a decipherer, a half-educated jeweler and the author of scientific magic articles, met with a Big Failure, AND has to return to his gypsy homeland, Latori. Ciphers aren’t a thing here, and local shoddy mystical beliefs are really irritating and dejecting to Roui. He dreams to come back to his old life… But how can it be possible if you have no money? In search of quick earnings, Roui’s picking up his old jewelry tools once more and finds the customer himself. The customer encharges Roui with a task to make a bracelet from a special wood for his bride inside of a month. But, as soon as Roui get to work, strange and unpleasant things start to appear all of sudden. Which, due to the superstition of the local people, became much more horrific and absurd than they actually are. Roui isn’t meant to finish the work on the bracelet… because it was stolen! And the unexpected helper says that the bracelet was taken by the legendary Latorian spirit – the Mad Rook. Is the Rook real or this is just her sick imagination? Roui has no time to figure out the details – he has to believe the helper and start looking for the bracelet as soon as possible, incidentally deciphering the mysterious cryptograms he’ll be facing on his way. Will Roui succeed and get the bracelet back, and what’s waiting for him at the end of his long and full of mystical riddles journey in this adventure game? A mix of a visual novel and a point-and-click genre! 4 Comments ON " The Crown of Leaves Free Download "
What’s with the new big fake download buttons? Pretty sure it’s an ad or something along those lines? If I did everything right I have now a Demo.Its a nice game and I hope they will finish it.